As a response by North American importer Max Hoffmann, Porsche built the 356 Speedster as a cheaper and more sporting alternative to the Coupe and Cabriolet. As a result, Porsche removed all the luxuries from the car in an attempt to offer the car cheaper than $3000 USD. In 1954, Porsche production shifted from the Reutter facilities back to their new building called Werk II. There they had the room to produce Hoffmann’s Speedster. 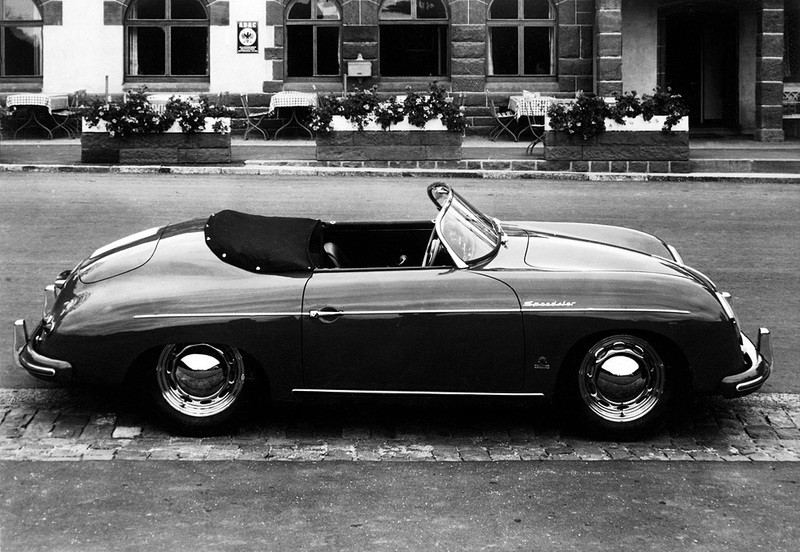 After producing a single prototype from a cabriolet body, Porsche finalized the Speedster specification with no radio, an integrated dash, bucket seats, a curved glass windscreen and a simple folding top.